Nick has more than 20 years of financial experience, including seven years as Controller for SynergEyes. 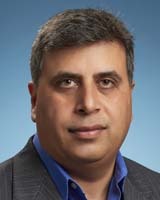 He was part of the team that launched the initial first generation of SynergEyes products. Prior to SynergEyes, Nick was Controller of LEGOLAND California, a family-based theme park. Previously, he was Controller of Baxa Corporation, a medical device company that specialized in providing fluid handling and delivery systems. Nick started his career as a tax accountant for and worked in public accounting for John Hansen where he earned his CPA. He holds a B.S. in Accounting from Indiana University. Louise Curcio joined SynergEyes in 2011 and is responsible for strategy, product management, marketing and sales for the business. Louise brings over 20 years of leadership and management experience in marketing, product development and sales in both large and small companies. She understands the nuances of working in a multi-faceted environment of private practice optometry… where the needs of the independent practice exist within the context of a much bigger marketplace dominated by very large players. Prior to joining SynergEyes, she managed the growth and development of brands as Vice President of Marketing at Upper Deck and Vice President of Marketing at Mattel. She has worked in ventured-funded companies, private companies, Fortune 500 companies as well as advertising and public relations agencies. Louise holds a Bachelor of Arts in Biology from the University of Colorado, Boulder and a Masters in Business Administration from University of Southern California. Vishal brings to SynergEyes 19 years of experience in the Automation, Manufacturing and IT industries. He previously has held positions in project engineering, project management, logistics and IT management for Honeywell, Johnson Controls, Polaris Software and most recently Trend Technologies. Vishal’s vast exposure to various business processes in the manufacturing industry, coupled with an in-depth understanding of IT, enables him to provide leadership and direction to the SynergEyes Operations and IT Groups. Tina Sharp is the Vice President, International Business and is in charge of all the International Sales & Distribution for SynergEyes. This includes all sales outside US where she is responsible for establishing strategy and policy relative to the International Distributor Partners. 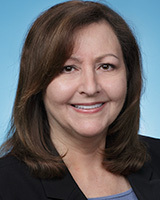 Prior to being promoted to this position, she held positions with the company as Global Sales Support Manager and Director of International Relations. Prior to joining SynergEyes in 2007, she was the Global Sales Support Manager for Kinetikos Medical, Inc., from 2000 to 2007 where she was in charge of all support functions both the Domestic Direct Sales Channel as well as the International Distributor Partners. 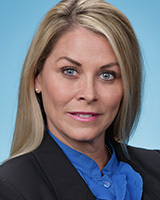 From 1996 to 2000, she was Senior Sales Representative for Helix Medical. Neal joined the SynergEyes team in 2005; his background includes extensive experience in manufacturing soft, rigid and hybrid contact lenses. Prior to SynergEyes Neal held various positions in the Technical Services and Engineering departments at the Hydrocurve / Barnes Hind Contact Lens Manufacturing facility in San Diego. While at SynergEyes Neal has held the positions of Sr. Process Engineer, Manager of Engineering and Director of Engineering, Vice President of Manufacturing Operations leading to his current position in R&D and technology. Heidi Noorany joined SynergEyes in 2014, bringing over 25 years of strategic marketing, brand and business building experience to the team. Prior to joining SynergEyes, Heidi held marketing leadership positions in multiple industries, with organizations ranging from start-ups to Fortune 100 companies. Most recently she served the optometric community as Director of Marketing for Carl Zeiss Vision. 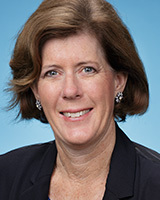 Heidi also drove focal businesses at WD-40 Company and Nestle, as well as within the wireless and technology industries. She is a passionate believer in leveraging customer insight to drive the delivery of impactful customer and patient experiences. Heidi holds a Bachelor of Science degree in marketing from the University of California, Berkeley and a Masters in Business Administration from the J.L. Kellogg Graduate School of Management at Northwestern University. David Fancher has been a consultant to SynergEyes since 2008 in the areas of domestic and global sales, and business development. Prior to his association with SynergEyes, Dave spent 14 years with CooperVision, Inc at Vice President levels in marketing, domestic and global sales. 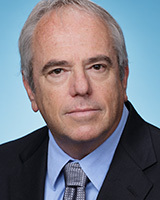 He retired in 2007 as President, CooperVision Surgical. 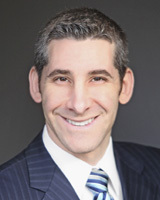 Jonathan Jacobson joined SynergEyes in 2014 to help expand the company’s international business. 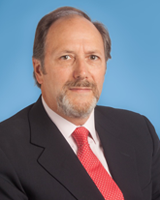 Jonathan is a global, multilingual executive with 30+ years of experience in the contact lens field. Jonathan’s marketing and general management background include nearly 25 years with Bausch & Lomb, and more than 5 years with Menicon Company Inc., Japan’s largest contact lens manufacturer. Jonathan brings to SynergEyes significant hands-on experience building new markets and launching products globally. 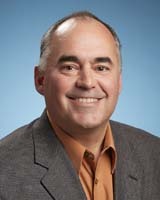 During his tenure with B&L, Jonathan increased the Boston brand’s global leadership of the RGP contact lens category, catalyzed the development of China’s orthokeratology market, and propeled the growth of large diameter RGP lenses, the fastest growing segment in the global specialty lens category. 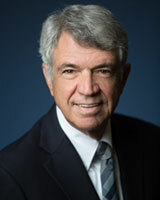 Dr. Sonsino brings a wealth of expertise, knowledge and clinical skills to SynergEyes. In a consultative role, Dr. Sonsino will lead SynergEyes’ clinical studies by engaging patients within his practice and by networking with other colleagues around the country when a large number of patients are enrolled in clinical studies. Previously Dr. Sonsino was faculty at Vanderbilt Eye Institute for 12 years. As an assistant professor, he was the division chief of optometry, founded the Center for Sight Enhancement, was the director of the Scleral Lens Clinic, authored 9 patents on vision-related medical devices, authored multiple papers, and lectured internationally on contact lens technology. A council member of the American Optometric Association’s Contact Lens Section and a Diplomate in the Cornea, Contact Lens and Refractive Therapies Section of the American Academy of Optometry, Dr. Sonsino is in private practice with his wife, Michele Sonsino, O.D., in Nashville, TN. Dr. Sonsino graduated with research honors from the New England College of Optometry, Boston and is well known in the optometric profession as a true leader and innovator in contact lens fitting and care.